Advocacy is a vital component of the work we do at ZOA and something that every Zionist should partake in often. Whether it is helping to educate your friends, contacting the media or elected officials, monitoring textbooks, challenging anti-Israel speakers or a variety of other ways to be involved, activity on behalf of Israel is always a positive step each of us can take either as part of ZOA, or individually. Join the Greater Philadelphia District Now! 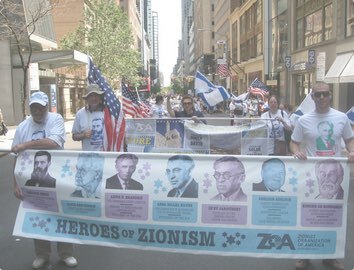 Basic annual membership dues support the national efforts of ZOA To help the work of ZOA to promote and defend Israel in the Greater Philadelphia area, please make an additional contribution to the Philadelphia District. You will receive informative emails, quarterly newsletters, invitations to local events as well as action alerts about ways you can help Israel. Please join and make your donation now while you are thinking about it. A basic membership is just $60. A Zahav (Gold) membership is just $100 (includes national membership & basic support of Greater Philadelphia ZOA. Download the ZOA membership form, call us (610.660.9466) or request more info.